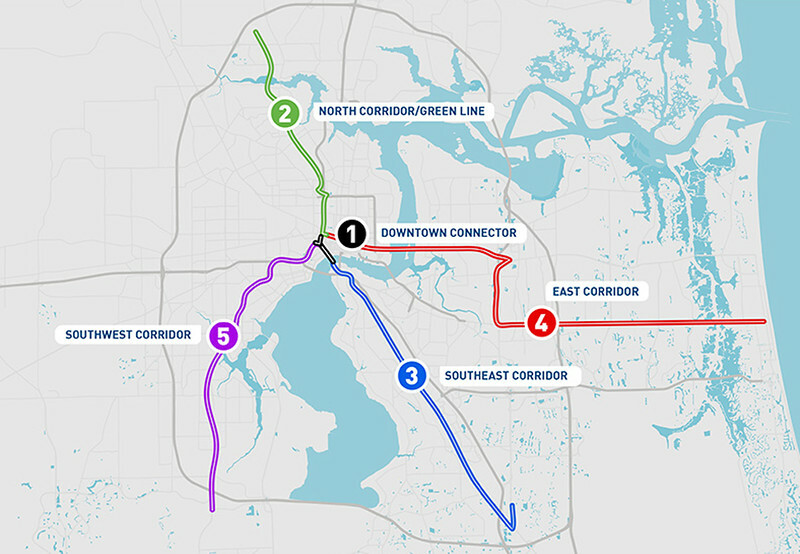 In its quest to establish the Southeast's largest bus rapid transit system by 2019, the Jacksonville Transportation Authority (JTA) has scheduled a public meeting to share their design plans for the First Coast Flyer BRT East Corridor. 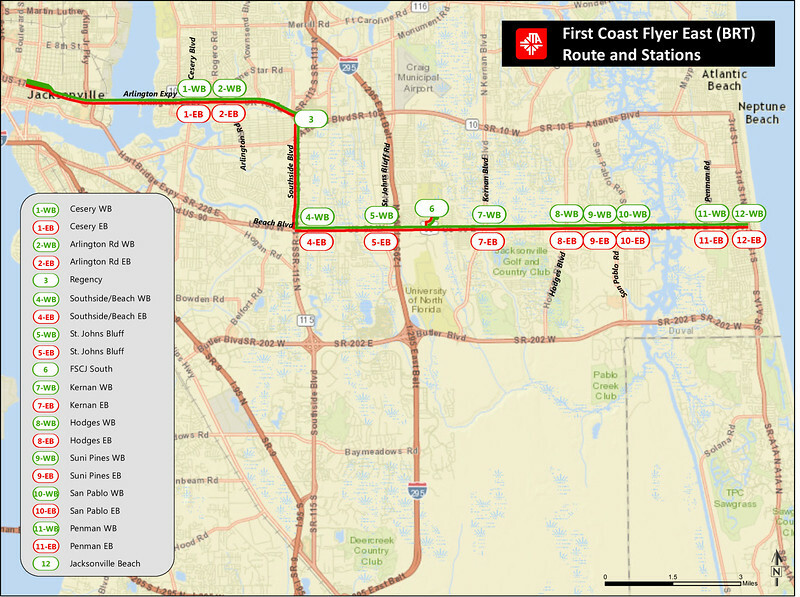 A public meeting for the First Coast Flyer Bus Rapid Transit (BRT) System East Corridor will be held on Thursday, November 16 at Florida State College at Jacksonville (FSCJ) South Campus. The meeting is an opportunity for the public to learn more about the design plans for the First Coast Flyer BRT East Corridor. The 18.5 mile East Corridor will feature direct, high-frequency service; twelve branded stations; transit signal priority at 32 intersections (allows buses to move through intersections without stopping); mobile ticketing; Wi-Fi and real time bus arrival information. The East Corridor will connect customers from the beaches to Downtown. The Flyer makes fewer stops and offers 10-minute frequency during weekday peak hours and 15-minute frequency in weekday off peak hours. The $33.9 million project is funded by the Federal Transit Administration, Florida Department of Transportation and the JTA. The JTA launched BRT with the opening of the Green Line in December 2015 and the Blue Line in December 2016. When completed, the Flyer system will cover 57 miles of destination travel, and will give the JTA the distinction of having the largest BRT system in the Southeast. All interested persons or groups are encouraged to attend and participate. Public participation is solicited without regard to race, color, religion, gender, age, national origin, disability or familial status. Anyone requiring special accommodation should contact Cheryl Riddick at 904.632.5522 or email criddick@jtafla.com no later than November 9, 2017. This meeting is ADA and transit accessible.